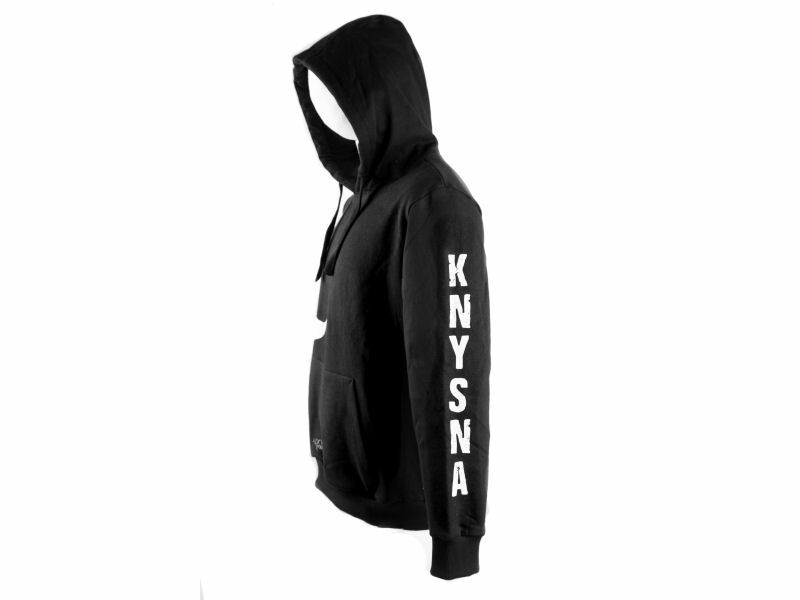 Black classic cut style pullover hoodie with adjustable black drawstring hood. 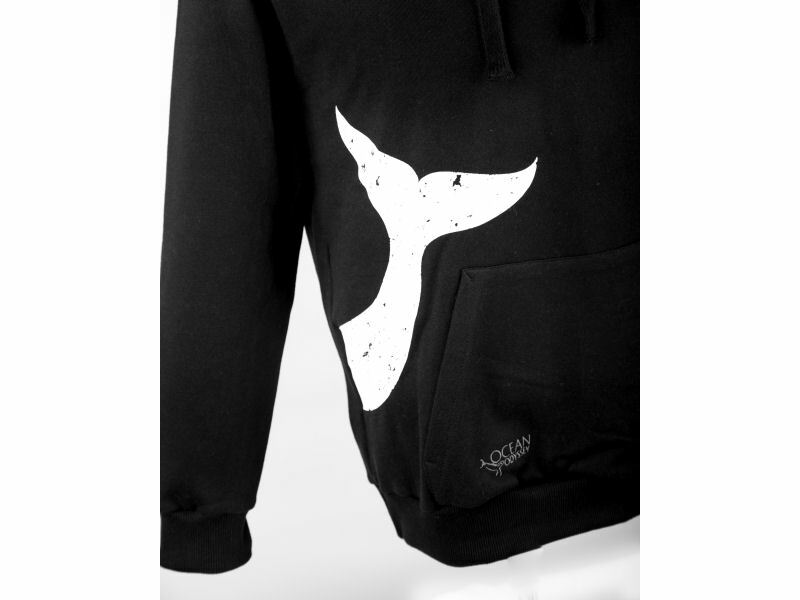 White whale tail print on the front right hand side and white “Knysna” Print down the left sleeve. 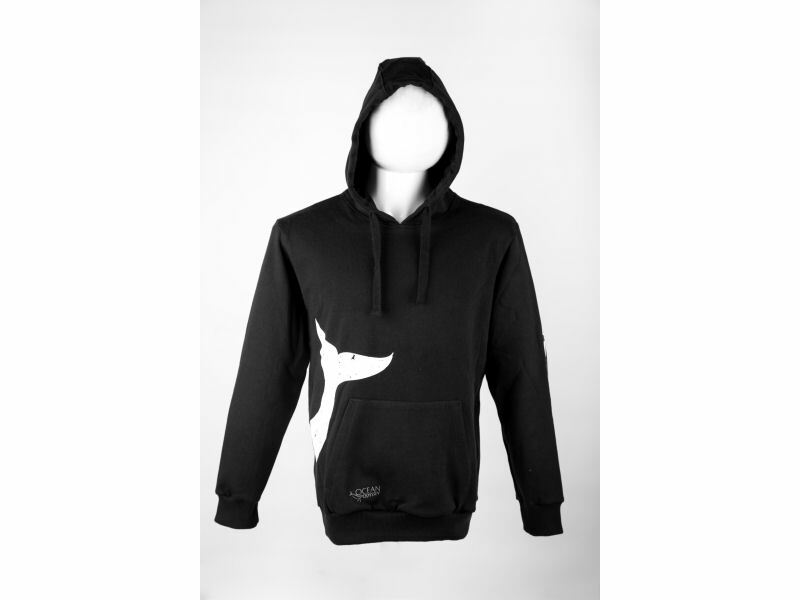 Front kangaroo pouch pocket with Ocean Odyssey embroided branding on the right hand side of the pocket. Finished off with a rib cuff and hem.